The case for emotional intelligence is clear. Successful organisations all over the world are now incorporating EI into the development of their people and their leaders. There’s also a wide variety of research and articles on the importance of hiring FOR emotional intelligence. But in all those blogs and pieces of content, authors don’t talk about HOW to hire for EI. When we understand our own emotions and the emotions of others – it’s a win-win situation. Our relationships grow, we become more resilient, and able to handle stress more effectively. Far too many employees lack basic self-awareness and social skills and too often, people aren’t aware of how their moods and emotions are impacting others in the workplace. The World Economic Forum lists emotional intelligence as the 6th most important job skill required for success at work by 2020. WorkSafe Victoria have also observed that more mental injuries get caused in workplaces now than physical injuries; and levels of EI positively correlate with levels of resilience and negatively correlate with levels of occupational stress. In other words, people with high EI feel less stressed and are more resilient at work. Organisations that are focused on emotional intelligence in their talent management strategies are taking the right steps to ensuring healthy and happy workplaces and teams. Measuring emotional intelligence should be added to talent management and hiring processes, not to replace other strategies but to strengthen an existing process. Yes, you still need a comprehensive hiring plan, but what’s now clear to business leaders everywhere is that EI skills and behaviours are as important as your intellect, experience and background in determining success at work and in life. Emotional Intelligence: a set of skills that help us better perceive, understand and manage emotions in ourselves and in others. Collectively, being more emotionally intelligent allows us to make more intelligent responses to, and use of, our emotions. These skills are just as important as intellect (IQ) in determining success at work and in life. Emotions influence, both productively and unproductively, our decisions, behaviour and performance. 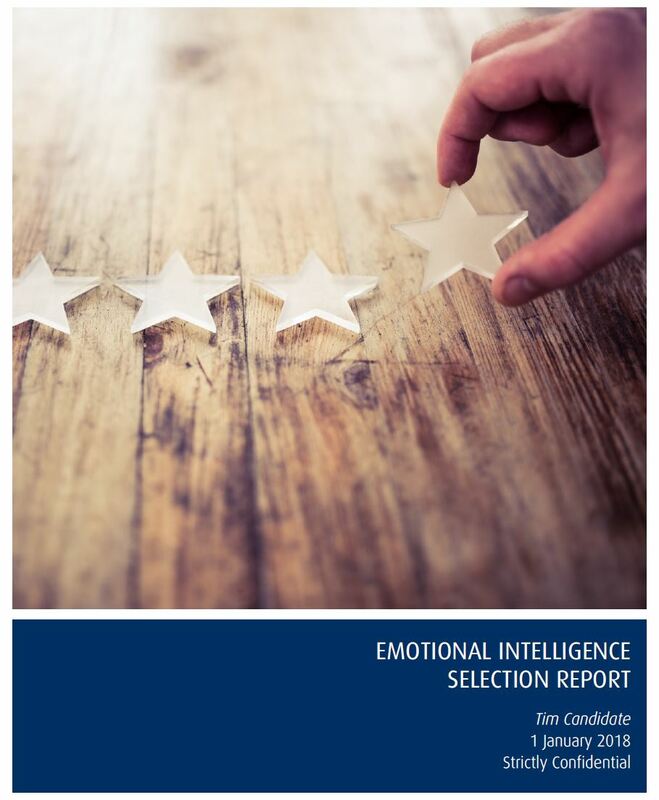 The Genos Emotional Intelligence Selection Report is the best measure of how often a candidate demonstrates emotional intelligence in the workplace. The report allows hiring managers to utilise EI measures as an additional means to avoiding bad hires. The Genos Selection model comprises a set of seven emotionally intelligent competencies. These competencies represent skills and behaviours, based on underlying abilities and experiences, that are measurable and observable. 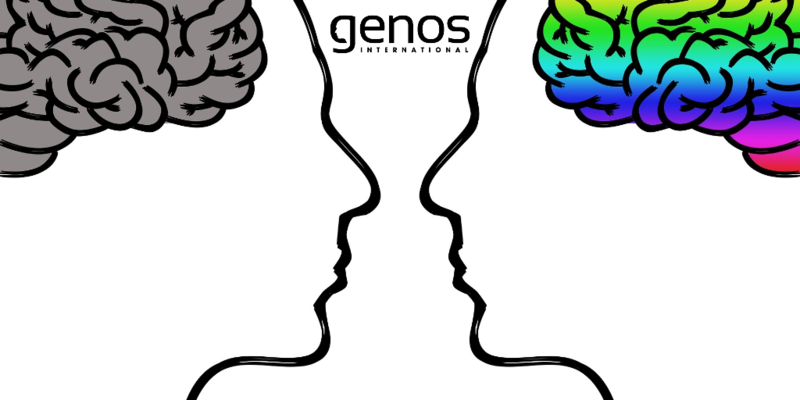 The Genos model captures the workplace skills and behaviours that manifest from emotional intelligence abilities. Users first experience a high level overview of the candidate’s total EI score along with a deeper dive into each behaviour and its results. Interview questions and an interview evaluation guide then allows the hiring manager to dig deeper into the EI of the individual. Wrap up the process by using the summary section to help combine assessment and interview results allowing you to present recommendations to a client or HR decision maker. The information presented in this report should be combined and weighted with other sources of information to determine the candidate’s suitability or lack thereof for employment. Emotional intelligence is one of many factors related to success in the workplace. If you’d like to learn more about this innovative new emotional intelligence selection tool, click here to read more or here to try it out for yourself. Game changing for hiring, life changing for your new hires.